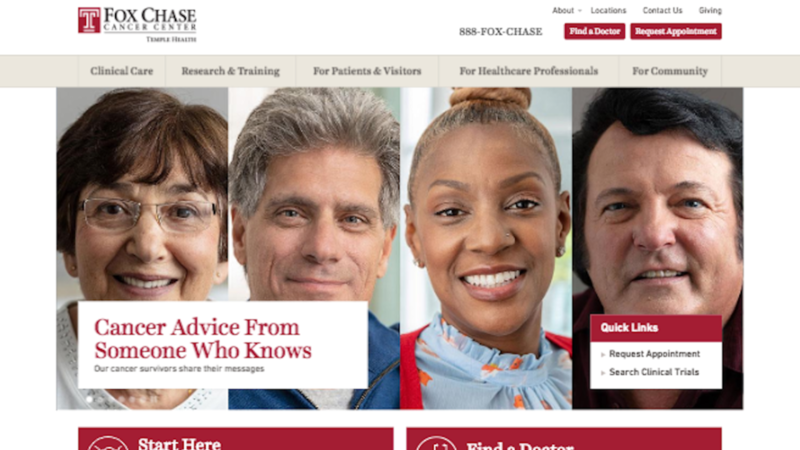 The Fox Chase Cancer Center, operated under Temple Health, was a site that involved several small front end changes to an existing Drupal theme while consulting with the folks at Eastern Standard. 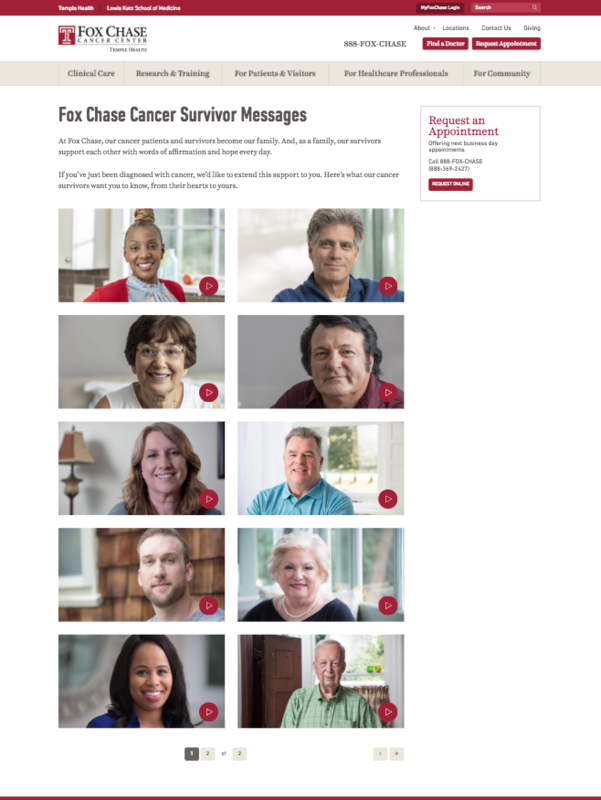 Development on the Fox Chase site also included a custom feature involved a social media campaign to encourage former patients to upload and share videos discussing their positive experiences with Fox Chase Cancer Center. 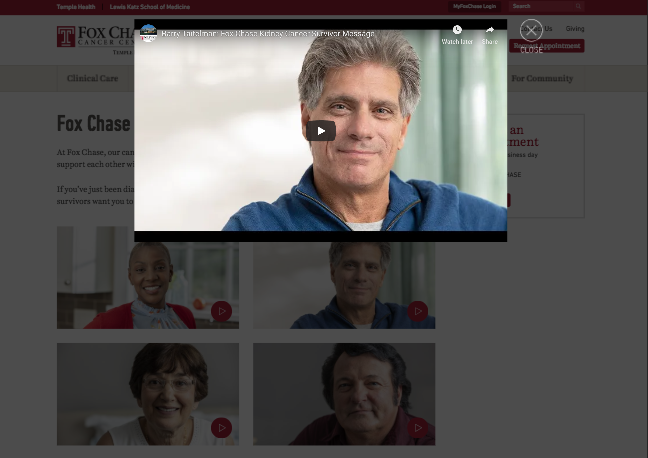 The video sharing feature utilized a custom video uploading functionality that made API calls to a video uploading platform while contact information was simultaneously captured by the Drupal backend. 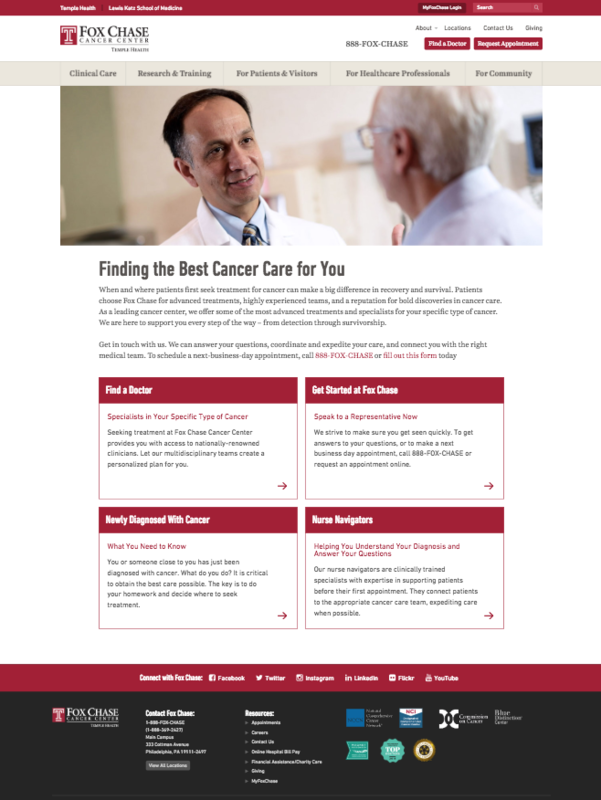 The front end involved development of several landing and promotion pages as well as a modal display for the videos as well as a video wall displaying all of the accepted and published survivor messages videos.